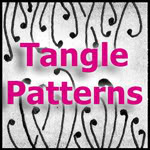 The Diva's Weekly Challenge #186: "String Theory - Leaves! Leaves! Leaves!" Oh, yeah! Of course it is spring 'down under.' Your tile is delightfully refreshing amidst all of the fall color challenges. 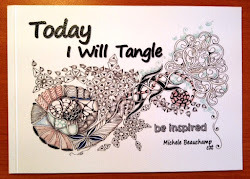 Like all the tangles that you chose. Like the touch of green. It does set off the tile. Like your Finery inside your Oke. Absolutely gorgeous! I like the touch of green, too! How pretty. I like your use of oke and pokeleaf. very creative. how I wish I was facing spring instead of fall. I love your spring zendala! Beautiful! Your contrasts are wonderful. Love it! It feels exactly like spring. I really like the flow and the contrasts in light. Really stunning. Love your use of Dark and Light in this Tile. It is so stunning. 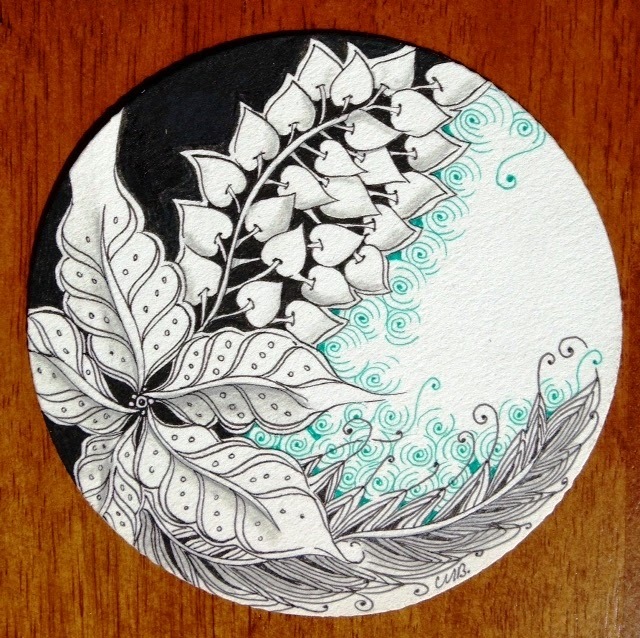 The touch of color between the negative space and the leaves is brilliant. You are such a master at designing such beautiful work in any space shape. Wonderful Tile, Shelly. To your spring! Nicely done! It's good to be reminded that it isn't fall everywhere. Happy spring to you and enjoy the nice warm sun! Beautiful tile. A beautiful spring tile of leaves! Just lovely! Such beautiful contrast -- with the "fun" of the green in there! Happy Spring to you! So beautiful! It must be nice to be anticipating spring & summer instead of dreading the coming of winter. I must tell you that your tangles are some of my very favorites! Your work is totally amazing!